In our earlier article we have examined the ideal of Chaturvarna from the point of view of human development in the individual. But the ideal applies equally to human development in the collectivity. In fact, in ancient Indian thought, Chaturvarna is viewed as the foundation of social development. The thinkers of ancient India conceived an ideal society as the one in which the Brahmana who stands for religion, science, scholarship and higher morality provides the thought-power, ideals and values to the society and shapes its culture; the Kshatriya who stands for war, politics and administration provides the will-power, driving force, and the enforcing authority and forms its ruling, warrior, policing, administrative class; the Vaishya who stands for trades, professions and industries, provides the organising, co-ordinating and harmo­nising force and forms the economic, commercial, technical and professional class of the society; and the Shudra who stands for work and service forms the working-class. This Indian ideal is revealed in the Purusha Sukta of the Veda in a striking image, which conceives human society as a living organic being with the four orders imaged as the organic parts of his body¾the Brahmana as his Mouth, the Kshatriya as his Arms,the Vaishya as his Thighs, and the Shudra as his Feet. Let us look deeply and closely at the meaning and significance of this ancient, Indian image of the human society. The Brahmana according to the Purusha-Sukta is the Mouth of the Purusha symbolising the Word of Knowledge; the Brahmana is the seer, prophet, sage and thinker who provides the creative vision, thought and ideals and values for the progressive evolution of society. The society will sink into darkness and inertia if there is not the constant influx of light into its fabric by the Brahmanas. But it is not enough for the society to be illumined with great ideas by the Brahmanas; the effectuating power, strength, and energy of the Kshatriya are needed to drive the idea into the social structure; so the Kshatriya is imaged as the arms of the Purusha symbolisin dynamic energy. Then the Vaishya is conceived as the thighs of the Purusha. The thigh is the middle portion and the balancing limb of the human body and symbolises the harmonising force in Man and Nature. The natural temperament of the Vaishya is that of mutuality and harmony; his inherent capacity is a keen intuition into the rhythms of the universal vital force which expresses itself in society as a rhythmic movement of mutual interchange of physical and vital energies and utilities among human beings. Is this not the essential basis of the economic, social and commercial life of man? This is the reason why the Vaishya is considered as the right person to organise the economic and commercial life of the society. And, finally, the Shudra who is imaged as the feet of the Purusha-feet symbolising a firm anchorage and stability in the material foundation and visible mobility and progress. Brahmanas may provide the creative ideas, Kshatriyas may provide the driving energy and will to these ideas and the Vaishyas may provide the organising rhythm and harmony, but these ideas cannot take a visible material form in society without the Shudras’ patient labour, dedicated service and minute skill in the details of execution. Thus in this Indian vision of society the four orders of the society are viewed as the expression of the four fundamental types and powers of the human soul and nature in the collective life of Man, forming the four limbs of the social body of the Universal Man, Virat Purusha. They can also be viewed as four distinct and fundamental social energies or the four forces, modes or aspects of the indivisible energies of the human social organism. They are, in fact, four inseparable functions of all human life and endeavour. For our life itself is at once the inquiry after truth and knowledge of the Brahmana, the struggle for control and mastery over the self and the environment of the Kshatriya, the constant production and mutual adaptation and harmonisation with others and with life of the Vaishya, and the sacrifice and service of the Shudra. This means that a lack of health in anyone of these organs or energies or disharmony or conflict between them can adversely affect the whole of human society; sound health of each and a harmonious interaction among them is indispensable for smooth progress in society. A clear examination of the practical conditions of these social energies, the extent of harmony between them, and the nature of their interaction will give a fairly reliable measure of the social condition of a society or of humanity in any particular phase or cycle of evolution. For the social and political thinker, analyst and researcher, the Indian scheme of Chaturvarna provides a useful conceptual basis for thinking, analysis and research; it helps to identify the relative strengths and weaknesses of the various sectors of the society nature of their relation and suggests suitable remedial measures for the policy-makers. One of the logical consequences of this Indian vision of development is that, if the human society is a living organic whole, then a “competitive strategy” based on the competitive self-interests, rights and privileges of individual and collective egos cannot lead to any lasting or sustainable harmony or progress. The right path for the further evolution of society must be based on a unitive and complementing strategy with an emphasis on the responsibility and contribution of each individual and collectivity to the common good of all. “There is a fine line between co-operation and co-creation. Co-operation can generate some form of creativity. But it appears that in co-operation creativity is within rigid boundaries, while with co-creation the boundaries are open. As Don Yates pointed out, co-operation is forces operating in parallel; co-creation is forces fusing together. Thus the Indian social philosophy believes neither in the competitive struggle of capitalism nor in the “class struggle” of Marxism as the right way to the progress and a well-being of the society. A balanced, harmonious and mutually supportive or “co-creative” progress of all the four organs of the society-Culture shaped by the Brahmana, Polity led by the Kshatriya, Economy managed by the Vaishya and Labour force constituted by the Shudra¾is the Indian way to social development, well-being, harmony and progress. The basic principles of the ancient Indian social order are sound and very much valid even for the modern age. The stress of social order on inborn temperament and capacity in fitting the individual for an occupation, its emphasis on the education and training for character-building, its stress on values rather than on skills, its organic and holistic vision of human society, its predominant orientation towards the inner moral, psychological and spiritual evolution of the individual, its emphasis on duties and responsibilities and contributions to the common good of all are some of the positive and eternally valid principles. The modern society has overlooked these to its own disadvantage. They have to be brought back to rejuvenate our culture and to counterbalance its overemphasis on skill, and efficiency and rights and privileges. But the outer social forms taken by the spirit of Chaturvarnya in ancient India are no longer valid for the modern age and have to be discarded altogether or transformed to suit modern conditions. 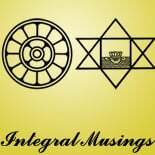 This entry was posted on April 9, 2012 by integralmusings in Indian civilisation & Culture.